Norwegian Broadcasting Corporation (NRK) are broadcasting the complete journey by boat from Bergen to Kirkenes live on television. That’s 134 hour of television for you. They started “Hurtigruten – minutt for minutt” (‘Hurtigruten – minute by minute‘) on Thursday June 16th and it will end in Kirkenes on Wednesday June 22nd. NRK2 will show nothing but Hurtigruten. 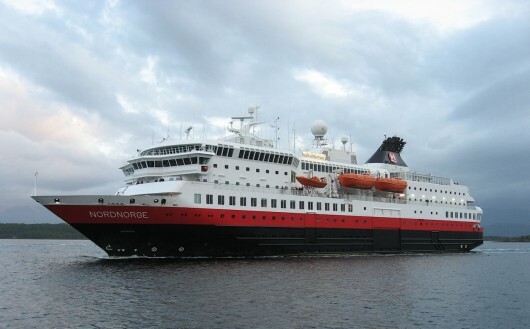 Hurtigruten – Norwegian Express Line – have 34 ports from Bergen to Kirkenes. And you can watch everything live on the internet. Just go to nrk.no/hurtigruten and you could also wisit NRKbeta.no for more information (all in English). On Twitter you can use the hashtag #hurtigruten.